About Us : Vapor Technologies Inc.
","location='../../index.cfm/lev1/10'"); mm_menu_1_0.addMenuItem("Steel Systems","location='../../products/?act=pdπd=65'"); mm_menu_1_0.addMenuItem("Light Industrial Units","location='../../products/?act=pdπd=64'"); mm_menu_1_0.addMenuItem("Heavy-Duty FRP Units","location='../../products/?act=pdπd=66'"); mm_menu_1_0.addMenuItem("Venturi Scrubbers","location='../../products/?act=pdπd=931'"); mm_menu_1_0.addMenuItem("Frac-Tank Scrubbers","location='../../products/?act=pdπd=930'"); mm_menu_1_0.addMenuItem("Trailer Mounted Vacuum Truck Units","location='../../products/?act=pdπd=826'"); mm_menu_1_0.addMenuItem("Chassis Mounted Vapor Scrubber Units","location='../../products/?act=pdπd=917'"); mm_menu_1_0.addMenuItem("High Volume Scrubbers","location='../../products/?act=pdπd=852'"); mm_menu_1_0.addMenuItem("E6500-R3K Trailer Mounted System","location='../../products/?act=pdπd=946'"); mm_menu_1_0.hideOnMouseOut = true; mm_menu_1_0.childMenuIcon = ""; mm_menu_1_0.bgColor = "#dcebe0"; mm_menu_1_0.menuBorder = 1; mm_menu_1_0.menuLiteBgColor = "#70907f"; mm_menu_1_0.menuBorderBgColor = "#dcebe0"; window.mm_menu_2_0 = new Menu("root",202,24,"","11","#ffffff","#ffffff","#70907f","#99b0a5","left","middle",3,1,300,1,0,true,true,true,0,true,true); // mm_menu_2_0.addMenuItem("
","location='../../index.cfm/lev1/911'"); mm_menu_2_0.addMenuItem("Eliminator 450 Scrubber System","location='../../products/?act=pdπd=910'"); mm_menu_2_0.addMenuItem("Eliminator 550-304S Scrubber System","location='../../products/?act=pdπd=918'"); mm_menu_2_0.addMenuItem("Eliminator 500-1KR Scrubber System","location='../../products/?act=pdπd=912'"); mm_menu_2_0.addMenuItem("Eliminator 5500 Scrubber System","location='../../products/?act=pdπd=909'"); mm_menu_2_0.hideOnMouseOut = true; mm_menu_2_0.childMenuIcon = ""; mm_menu_2_0.bgColor = "#dcebe0"; mm_menu_2_0.menuBorder = 1; mm_menu_2_0.menuLiteBgColor = "#70907f"; mm_menu_2_0.menuBorderBgColor = "#dcebe0"; window.mm_menu_3_0 = new Menu("root",202,24,"","11","#ffffff","#ffffff","#70907f","#99b0a5","left","middle",3,1,300,1,0,true,true,true,0,true,true); // mm_menu_3_0.addMenuItem("
","location='../../index.cfm/lev1/805'"); mm_menu_3_0.addMenuItem("VT50PM-200 Scrubber with Blower","location='../../products/?act=pdπd=808'"); mm_menu_3_0.addMenuItem("PES30-18 Micro Scrubber","location='../../products/?act=pdπd=939'"); mm_menu_3_0.addMenuItem("PES65-12 Vapor Scrubber","location='../../products/?act=pdπd=809'"); mm_menu_3_0.addMenuItem("PPT-24 Twin Column Scrubber","location='../../products/?act=pdπd=944'"); mm_menu_3_0.addMenuItem("PES225-18 Scrubber","location='../../products/?act=pdπd=71'"); mm_menu_3_0.addMenuItem("PPS-24 Vapor Scrubber System","location='../../products/?act=pdπd=943'"); mm_menu_3_0.addMenuItem("FRPS200-12 Scrubber System","location='../../products/?act=pdπd=938'"); mm_menu_3_0.hideOnMouseOut = true; mm_menu_3_0.childMenuIcon = ""; mm_menu_3_0.bgColor = "#dcebe0"; mm_menu_3_0.menuBorder = 1; mm_menu_3_0.menuLiteBgColor = "#70907f"; mm_menu_3_0.menuBorderBgColor = "#dcebe0"; window.mm_menu_4_0 = new Menu("root",202,24,"","11","#ffffff","#ffffff","#70907f","#99b0a5","left","middle",3,1,300,1,0,true,true,true,0,true,true); // mm_menu_4_0.addMenuItem("
","location='../../index.cfm/lev1/54'"); mm_menu_4_0.addMenuItem("SST-40 Vapor Scrubbing System","location='../../products/?act=pdπd=63'"); mm_menu_4_0.addMenuItem("SSTR-54 Triple Column Scrubber","location='../../products/?act=pdπd=53'"); mm_menu_4_0.addMenuItem("SST-20 Stainless Vapor Scrubber","location='../../products/?act=pdπd=827'"); mm_menu_4_0.addMenuItem("PPS-24 Poly Rental Scrubber","location='../../products/?act=pdπd=807'"); mm_menu_4_0.addMenuItem("PPT-24 Poly Rental Scrubber","location='../../products/?act=pdπd=945'"); mm_menu_4_0.addMenuItem("FRPT-30 FRP Vapor Scrubber","location='../../products/?act=pdπd=926'"); mm_menu_4_0.addMenuItem("Eliminator 550-304S Scrubber","location='../../products/?act=pdπd=920'"); mm_menu_4_0.addMenuItem("Eliminator 500-1KR Scrubber System","location='../../products/?act=pdπd=913'"); mm_menu_4_0.addMenuItem("Eliminator 5500 Scrubber Unit","location='../../products/?act=pdπd=851'"); mm_menu_4_0.hideOnMouseOut = true; mm_menu_4_0.childMenuIcon = ""; mm_menu_4_0.bgColor = "#dcebe0"; mm_menu_4_0.menuBorder = 1; mm_menu_4_0.menuLiteBgColor = "#70907f"; mm_menu_4_0.menuBorderBgColor = "#dcebe0"; window.mm_menu_5_0 = new Menu("root",202,24,"","11","#ffffff","#ffffff","#70907f","#99b0a5","left","middle",3,1,300,1,0,true,true,true,0,true,true); // mm_menu_5_0.addMenuItem("
","location='../../index.cfm/lev1/93'"); mm_menu_5_0.addMenuItem("NOVAC 750 Carbon Adsorber","location='../../products/?act=pdπd=940'"); mm_menu_5_0.addMenuItem("NOVAC 1000 Carbon Vessel","location='../../products/?act=pdπd=828'"); mm_menu_5_0.addMenuItem("NOVAC 2000 Carbon Vessel","location='../../products/?act=pdπd=949'"); mm_menu_5_0.addMenuItem("R4K Radial Carbon Adsorber","location='../../products/?act=pdπd=935'"); mm_menu_5_0.addMenuItem("1KR Carbon Vessel","location='../../products/?act=pdπd=932'"); mm_menu_5_0.addMenuItem("VP-55 Vapor Phase Carbon Adsorber","location='../../products/?act=pdπd=15'"); mm_menu_5_0.addMenuItem("VP-55 with Venturi Air Induction","location='../../products/?act=pdπd=14'"); mm_menu_5_0.addMenuItem("VP55D Carbon Adsorber for H2S","location='../../products/?act=pdπd=813'"); mm_menu_5_0.addMenuItem("VP55A Carbon Adsorber for Ammonia","location='../../products/?act=pdπd=814'"); mm_menu_5_0.addMenuItem("AIR TECH 55 Venturi Air Induction Unit","location='../../products/?act=pdπd=16'"); mm_menu_5_0.hideOnMouseOut = true; mm_menu_5_0.childMenuIcon = ""; mm_menu_5_0.bgColor = "#dcebe0"; mm_menu_5_0.menuBorder = 1; mm_menu_5_0.menuLiteBgColor = "#70907f"; mm_menu_5_0.menuBorderBgColor = "#dcebe0"; window.mm_menu_6_0 = new Menu("root",202,24,"","11","#ffffff","#ffffff","#70907f","#99b0a5","left","middle",3,1,300,1,0,true,true,true,0,true,true); // mm_menu_6_0.addMenuItem("
","location='../../index.cfm/lev1/941'"); mm_menu_6_0.addMenuItem("NOVAC 750 Carbon Adsorber","location='../../products/?act=pdπd=941'"); mm_menu_6_0.addMenuItem("NOVAC 1000 Carbon Vessel","location='../../products/?act=pdπd=850'"); mm_menu_6_0.addMenuItem("NOVAC 2000 Carbon Vessel","location='../../products/?act=pdπd=98'"); mm_menu_6_0.addMenuItem("R4K Radial Carbon Adsorber","location='../../products/?act=pdπd=936'"); mm_menu_6_0.addMenuItem("Large Carbon Vessels","location='../../products/?act=pdπd=99'"); mm_menu_6_0.hideOnMouseOut = true; mm_menu_6_0.childMenuIcon = ""; mm_menu_6_0.bgColor = "#dcebe0"; mm_menu_6_0.menuBorder = 1; mm_menu_6_0.menuLiteBgColor = "#70907f"; mm_menu_6_0.menuBorderBgColor = "#dcebe0"; window.mm_menu_7_0 = new Menu("root",202,24,"","11","#ffffff","#ffffff","#70907f","#99b0a5","left","middle",3,1,300,1,0,true,true,true,0,true,true); // mm_menu_7_0.addMenuItem("
","location='../../index.cfm/lev1/937'"); mm_menu_7_0.addMenuItem("1500 CFM Steel Blower","location='../../products/?act=pdπd=95'"); mm_menu_7_0.addMenuItem("RB1200 Pressure Blower","location='../../products/?act=pdπd=921'"); mm_menu_7_0.addMenuItem("STORM 14 Poly Blower","location='../../products/?act=pdπd=934'"); mm_menu_7_0.addMenuItem("100% Poly Blowers","location='../../products/?act=pdπd=829'"); mm_menu_7_0.addMenuItem("Pneumatic Venturi Blowers","location='../../products/?act=pdπd=830'"); mm_menu_7_0.addMenuItem("Coppus Blowers","location='../../products/?act=pdπd=831'"); mm_menu_7_0.addMenuItem("Carbon Drum Blower (Air)","location='../../products/?act=pdπd=942'"); mm_menu_7_0.hideOnMouseOut = true; mm_menu_7_0.childMenuIcon = ""; mm_menu_7_0.bgColor = "#dcebe0"; mm_menu_7_0.menuBorder = 1; mm_menu_7_0.menuLiteBgColor = "#70907f"; mm_menu_7_0.menuBorderBgColor = "#dcebe0"; window.mm_menu_8_0 = new Menu("root",202,24,"","11","#ffffff","#ffffff","#70907f","#99b0a5","left","middle",3,1,300,1,0,true,true,true,0,true,true); // mm_menu_8_0.addMenuItem("
","location='../../index.cfm/lev1/801'"); mm_menu_8_0.addMenuItem("Activated Carbon Media","location='../../products/?act=pdπd=801'"); mm_menu_8_0.addMenuItem("KOH Carbon Media","location='../../products/?act=pdπd=802'"); mm_menu_8_0.addMenuItem("High Efficiency H2S Carbon","location='../../products/?act=pdπd=822'"); mm_menu_8_0.addMenuItem("Ammonia Adsorbing Carbon","location='../../products/?act=pdπd=824'"); mm_menu_8_0.addMenuItem("VTCM II","location='../../products/?act=pdπd=846'"); mm_menu_8_0.addMenuItem("VTCM-IPP","location='../../products/?act=pdπd=847'"); mm_menu_8_0.addMenuItem("VTCM IPSp","location='../../products/?act=pdπd=848'"); mm_menu_8_0.hideOnMouseOut = true; mm_menu_8_0.childMenuIcon = ""; mm_menu_8_0.bgColor = "#dcebe0"; mm_menu_8_0.menuBorder = 1; mm_menu_8_0.menuLiteBgColor = "#70907f"; mm_menu_8_0.menuBorderBgColor = "#dcebe0"; window.mm_menu_9_0 = new Menu("root",202,24,"","11","#ffffff","#ffffff","#70907f","#99b0a5","left","middle",3,1,300,1,0,true,true,true,0,true,true); // mm_menu_9_0.addMenuItem("
","location='../../index.cfm/lev1/914'"); mm_menu_9_0.addMenuItem("BIO-SCRUB X","location='../../products/?act=pdπd=811'"); mm_menu_9_0.addMenuItem("BSX50-EVT6","location='../../products/?act=pdπd=928'"); mm_menu_9_0.addMenuItem("EZ-STRIP SS","location='../../products/?act=pdπd=810'"); mm_menu_9_0.addMenuItem("CARBONIL XT","location='../../products/?act=pdπd=925'"); mm_menu_9_0.addMenuItem("CARBONIL ST","location='../../products/?act=pdπd=948'"); mm_menu_9_0.addMenuItem("CARBONIL ES","location='../../products/?act=pdπd=924'"); mm_menu_9_0.addMenuItem("ENVIRO-SCRUB VT","location='../../products/?act=pdπd=821'"); mm_menu_9_0.addMenuItem("ENVIRO-SCRUB VT (6% SOLUTION)","location='../../products/?act=pdπd=922'"); mm_menu_9_0.addMenuItem("VAMSOL 40","location='../../products/?act=pdπd=919'"); mm_menu_9_0.addMenuItem("SULFUR SCRUB 43","location='../../products/?act=pdπd=923'"); mm_menu_9_0.hideOnMouseOut = true; mm_menu_9_0.childMenuIcon = ""; mm_menu_9_0.bgColor = "#dcebe0"; mm_menu_9_0.menuBorder = 1; mm_menu_9_0.menuLiteBgColor = "#70907f"; mm_menu_9_0.menuBorderBgColor = "#dcebe0"; window.mm_menu_10_0 = new Menu("root",202,24,"","11","#ffffff","#ffffff","#70907f","#99b0a5","left","middle",3,1,300,1,0,true,true,true,0,true,true); // mm_menu_10_0.addMenuItem("
","location='../../index.cfm/lev1/915'"); mm_menu_10_0.addMenuItem("CARBONIL XT","location='../../products/?act=pdπd=13'"); mm_menu_10_0.addMenuItem("CARBONIL ST","location='../../products/?act=pdπd=24'"); mm_menu_10_0.addMenuItem("CARBONIL","location='../../products/?act=pdπd=49'"); mm_menu_10_0.addMenuItem("CARBONIL ES","location='../../products/?act=pdπd=853'"); mm_menu_10_0.hideOnMouseOut = true; mm_menu_10_0.childMenuIcon = ""; mm_menu_10_0.bgColor = "#dcebe0"; mm_menu_10_0.menuBorder = 1; mm_menu_10_0.menuLiteBgColor = "#70907f"; mm_menu_10_0.menuBorderBgColor = "#dcebe0"; window.mm_menu_11_0 = new Menu("root",202,24,"","11","#ffffff","#ffffff","#70907f","#99b0a5","left","middle",3,1,300,1,0,true,true,true,0,true,true); // mm_menu_11_0.addMenuItem("
","location='../../index.cfm/lev1/6'"); mm_menu_11_0.addMenuItem("MERCAPTOLYTE 200","location='../../products/?act=pdπd=6'"); mm_menu_11_0.addMenuItem("EZ-STRIP SS","location='../../products/?act=pdπd=929'"); mm_menu_11_0.addMenuItem("ENVIRO-SCRUB VT","location='../../products/?act=pdπd=819'"); mm_menu_11_0.addMenuItem("ENVIRO-SCRUB VT (6% Solution)","location='../../products/?act=pdπd=927'"); mm_menu_11_0.hideOnMouseOut = true; mm_menu_11_0.childMenuIcon = ""; mm_menu_11_0.bgColor = "#dcebe0"; mm_menu_11_0.menuBorder = 1; mm_menu_11_0.menuLiteBgColor = "#70907f"; mm_menu_11_0.menuBorderBgColor = "#dcebe0"; window.mm_menu_12_0 = new Menu("root",202,24,"","11","#ffffff","#ffffff","#70907f","#99b0a5","left","middle",3,1,300,1,0,true,true,true,0,true,true); // mm_menu_12_0.addMenuItem("
","location='../../index.cfm/lev1/2'"); mm_menu_12_0.addMenuItem("D-ODORIT 300","location='../../products/?act=pdπd=7'"); mm_menu_12_0.addMenuItem("D-ODORIT 100 OB","location='../../products/?act=pdπd=3'"); mm_menu_12_0.addMenuItem("CARBONIL XT","location='../../products/?act=pdπd=4'"); mm_menu_12_0.addMenuItem("GRAPE PLUS","location='../../products/?act=pdπd=5'"); mm_menu_12_0.addMenuItem("ENVIRO-SCRUB VT","location='../../products/?act=pdπd=820'"); mm_menu_12_0.hideOnMouseOut = true; mm_menu_12_0.childMenuIcon = ""; mm_menu_12_0.bgColor = "#dcebe0"; mm_menu_12_0.menuBorder = 1; mm_menu_12_0.menuLiteBgColor = "#70907f"; mm_menu_12_0.menuBorderBgColor = "#dcebe0"; window.mm_menu_13_0 = new Menu("root",202,24,"","11","#ffffff","#ffffff","#70907f","#99b0a5","left","middle",3,1,300,1,0,true,true,true,0,true,true); // mm_menu_13_0.addMenuItem("
","location='../../index.cfm/lev1/797'"); mm_menu_13_0.addMenuItem("BULLDOGG","location='../../products/?act=pdπd=796'"); mm_menu_13_0.addMenuItem("EZ-STRIP","location='../../products/?act=pdπd=33'"); mm_menu_13_0.addMenuItem("PHOS-SCRUB","location='../../products/?act=pdπd=36'"); mm_menu_13_0.addMenuItem("TRI-SOLV (oil)","location='../../products/?act=pdπd=39'"); mm_menu_13_0.hideOnMouseOut = true; mm_menu_13_0.childMenuIcon = ""; mm_menu_13_0.bgColor = "#dcebe0"; mm_menu_13_0.menuBorder = 1; mm_menu_13_0.menuLiteBgColor = "#70907f"; mm_menu_13_0.menuBorderBgColor = "#dcebe0"; window.mm_menu_14_0 = new Menu("root",202,24,"","11","#ffffff","#ffffff","#70907f","#99b0a5","left","middle",3,1,300,1,0,true,true,true,0,true,true); // mm_menu_14_0.addMenuItem("
","location='../../index.cfm/lev1/798'"); mm_menu_14_0.addMenuItem("Si-Foam 10","location='../../products/?act=pdπd=798'"); mm_menu_14_0.hideOnMouseOut = true; mm_menu_14_0.childMenuIcon = ""; mm_menu_14_0.bgColor = "#dcebe0"; mm_menu_14_0.menuBorder = 1; mm_menu_14_0.menuLiteBgColor = "#70907f"; mm_menu_14_0.menuBorderBgColor = "#dcebe0"; window.mm_menu_15_0 = new Menu("root",202,24,"","11","#ffffff","#ffffff","#70907f","#99b0a5","left","middle",3,1,300,1,0,true,true,true,0,true,true); // mm_menu_15_0.addMenuItem("
","location='../../index.cfm/lev1/835'"); mm_menu_15_0.addMenuItem("pH Controllers","location='../../products/?act=pdπd=835'"); mm_menu_15_0.addMenuItem("Flame Arrestors","location='../../products/?act=pdπd=836'"); mm_menu_15_0.addMenuItem("Industrial Vapor Hose","location='../../products/?act=pdπd=837'"); mm_menu_15_0.addMenuItem("Pails","location='../../products/?act=pdπd=840'"); mm_menu_15_0.addMenuItem("Poly Storage Drums","location='../../products/?act=pdπd=838'"); mm_menu_15_0.addMenuItem("Liquid Storage Totes","location='../../products/?act=pdπd=839'"); mm_menu_15_0.addMenuItem("Poly Drum Pump","location='../../products/?act=pdπd=841'"); mm_menu_15_0.hideOnMouseOut = true; mm_menu_15_0.childMenuIcon = ""; mm_menu_15_0.bgColor = "#dcebe0"; mm_menu_15_0.menuBorder = 1; mm_menu_15_0.menuLiteBgColor = "#70907f"; mm_menu_15_0.menuBorderBgColor = "#dcebe0"; window.mm_menu_16_0 = new Menu("root",202,24,"","11","#ffffff","#ffffff","#70907f","#99b0a5","left","middle",3,1,300,1,0,true,true,true,0,true,true); // mm_menu_16_0.addMenuItem("
Vapor Technologies, Inc. is located just south of Houston, TX within the heart of the biggest petrochemical hub in the world. We have been operating for over 12 years and our professional staff has over 75 years experience in the vapor control, petrochemical and chemical engineering fields. We began by developing one of the most advanced mobile liquid scrubber systems in the country. After only a few years, we had the largest rental fleet in North America. In fact, our systems have been in service at 90% of all major chemical and refinery installations around the country. Today, we have a large array of skid and trailer mounted rental vapor scrubber systems which are able to handle flow rates from 100 to over 6000 CFM. Our larger mobile units are manufactured from stainless steel; making them ideal for most applications in the field with compatibility issues. Utilizing our extensive chemical background, we have developed a custom line of chemicals designed specifically for the scrubber units which allow for high removal efficiencies. Over the last 12 years we have developed numerous products which neutralize a whole host of odorous and/or hazardous vapors. Some of the include acrylate, mercaptan, hydrogen sulfide, SOx, NOx, ammonia, acrylic acid, phenol, hydrocarbons, and many more. In addition to rental units, Vapor Tech is a manufacturer of skid mounted systems. Unlike most companies, we manufacture units from steel, fiberglass and poly materials. Furthermore, we are able to manufacture not only small lab-scale systems, but very large skid mounted units. Additionally we design and manufacture carbon adsorption systems. Our new NO-VAC systems do not require an on-site vacuum service. They can be filled and emptied on-site in a matter of minutes by the customer. In addition to vapor scrubber units, Vapor Tech rents and sells blowers, pumps, and flame arrestors. We also build pump systems and are fully knowledgeable with reference to installation and troubleshooting of pH controllers, flow control devices, logic controllers, and more. Lastly, Vapor Tech is a manufacturer of specialty cleaning chemicals. These are industrial-grade and are very specific. Most are designed to remove tars, resins, and other hard to remove substances. Our systems are designed to remove hazardous vapors such as hydrocarbons or H2S from the air during a whole host of situations and activities. However, unlike combustive technologies (ex. Thermal oxidixers or IC Engines), our systems do not produce contaminants such as NOx or SOx during the scrubbing or adsorption process. Furthermore, there are many instances where scrubber units are the ideal solution instead of a combustor. For example, chlorinated hydrocarbons such as EDC (ethylene dichloride) produce acid when burned. Not only is this a problem for the machine while burning it but a problem for the air and personnel operating in the area. This is true for other compounds such as chlorine, ammonia and chlorinated solvents. Scrubbers are able to remove the compounds and have zero negative impact on the environment. In these cases, our liquid scrubber units are the only viable solution. The chemicals used in the scrubber units are also extremely eco friendly. 95% of the chemicals used in our systems are able to go back into a WWTP for bio-remediation. Our oil-based scrubbing solution BIO-SCRUB X is able to absorb hydrocarbons and in most cases be used as a fuel in boilers or other similar systems. In addition to scrubber systems, Vapor Tech manufactures chemical medias which rapidly speed up bio-degredation of hydrocarbons and oils in soils. Two chemicals when used in conjunction have shown to dramatically reduce TPH levels in soils within a few days. These two compounds (Carbonil XT and Bulldogg) leach out the oils from the soil and then provide an environment for microbial action. These are used primarily in tank batteries which leak or when a spill is encountered. R&A Technology has had great success around the country with these two products. R&A has saved companies hundreds of thousands of dollars in expensive cleanup by using Vapor Techs chemicals to clean up their spills. In short, Vapor Tech is concerned about the environment. 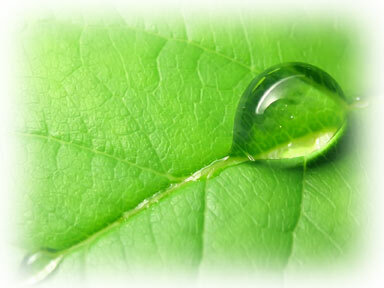 Our goal is to provide mechanical and chemical solutions to reduce negative impact on the environment. Typically, we find our technology to be more cost effective than the alternatives. In the future, we will continue to make every effort to develop new products and technologies which will do more to reduce environmental impact and save our customers money.